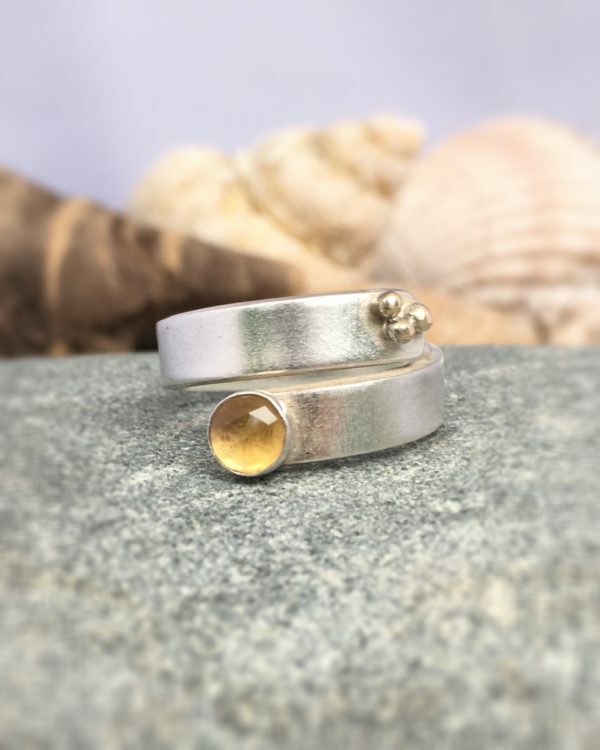 The Sunny Day Wrap Ring is hand made from recycled silver, 5 mm wide and 1.3 mm deep, in a wrap around style, given a lovely brushed finish. 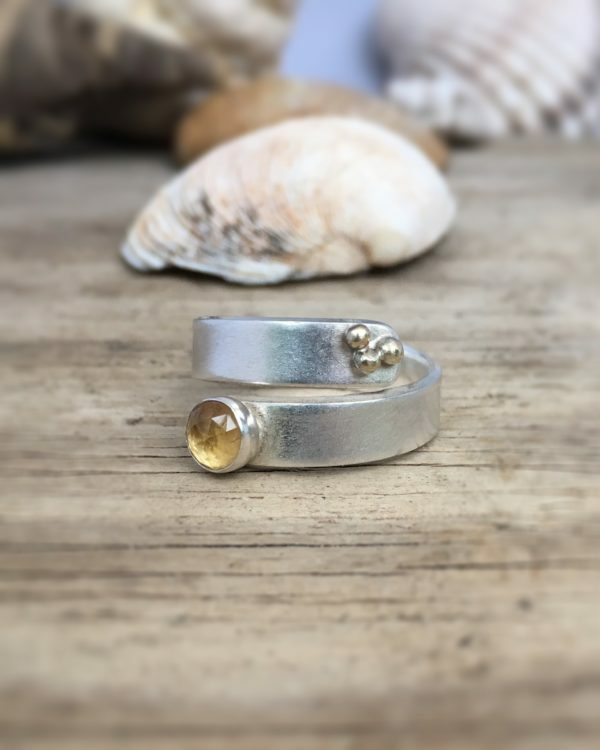 At one end of the wrap is a beautiful bright yellow citrine and at the other are 3 balls of 9ct recycled gold. Citrine is said to bring optimism and cheerfulness. The sunny day ring is a beautiful reminder of lovely summer days. Your ring will be sent in your choice of either a recycled box or a cotton drawstring bag. Your ring will be individually hand made to order and hallmarked at the Edinburgh Assay office. Please allow 3 to 4 weeks for delivery.